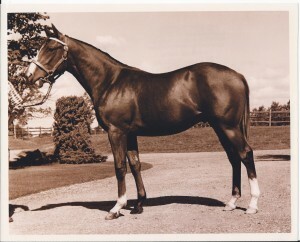 Friday, November 10, the 250th Anniversary of Horse Racing was showcased as part of the 95th Annual Royal Agricultural Winter Fair in Toronto. 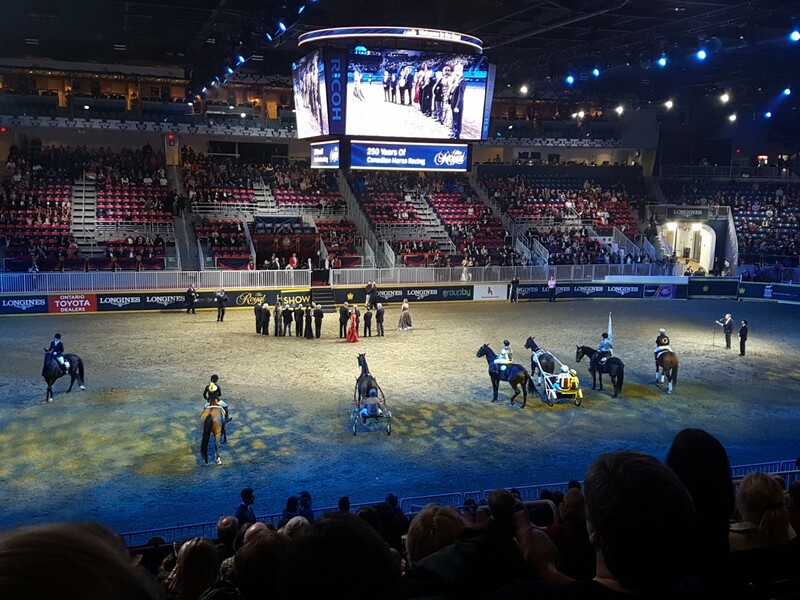 Under the lights and glamour of the Royal Horse Show, an exhibition celebrating the racing industry’s milestone anniversary included a combination of video, current and retired race horses, Canadian Horse Racing Hall of Fame members and a special presentation to the president of the RAWF. 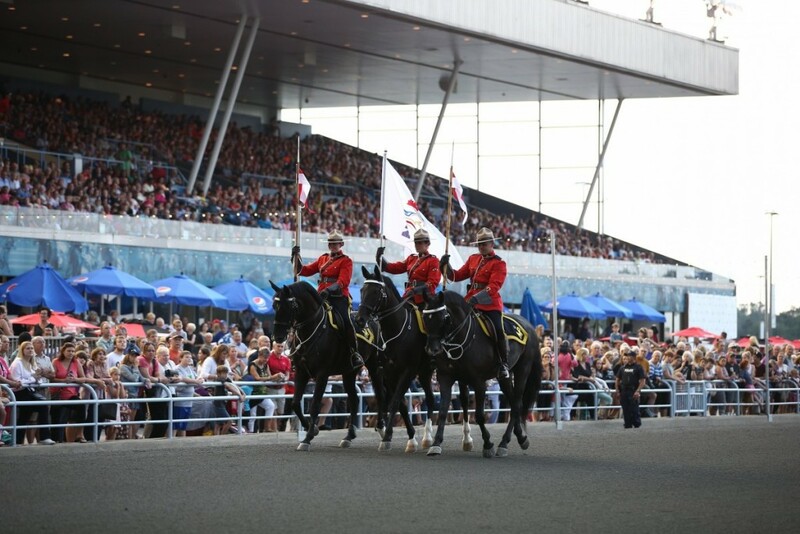 The Canadian Cowgirls kicked off the celebration which featured a 15 breed parade on the old Erin Fair Racetrack completing 2 commemorative miles for the 250th Anniversary of Horse Racing in Canada. It was a fabulous event and many thanks to David MacDonald, Bridget Ryan and the Erin Fair Board for coordinating this terrific showcase and hosting such a wonderful celebration. 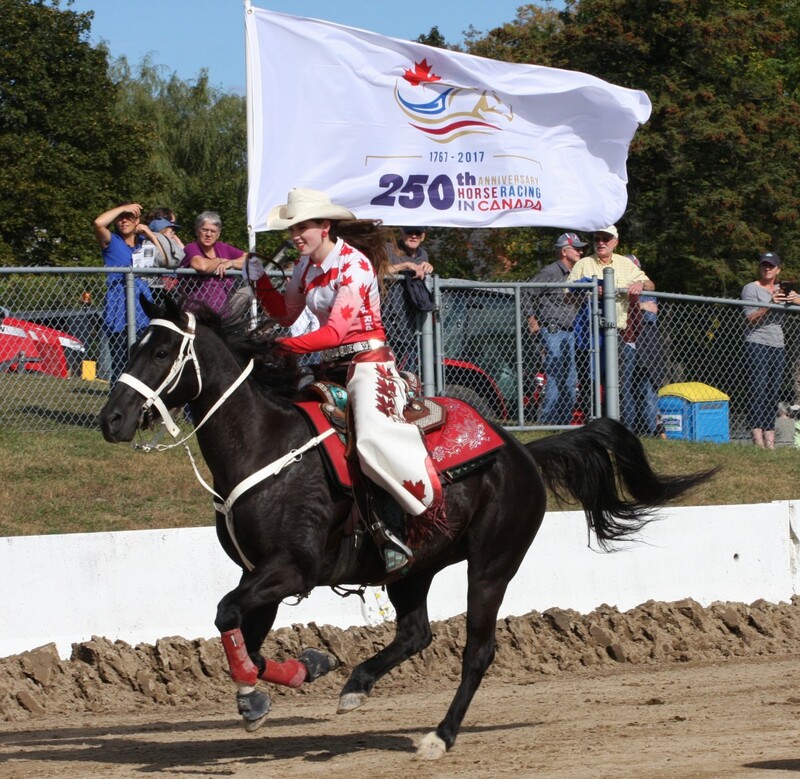 Kylie, an Erin resident who is a member of the Canadian Cowgirls sprinted with the 250th Anniversary of Horse Racing in Canada flag down a portion of the old Erin Fair Racetrack at Erin Fair Monday, Oct 9 as part of the 250 Commemorative Mile relay. 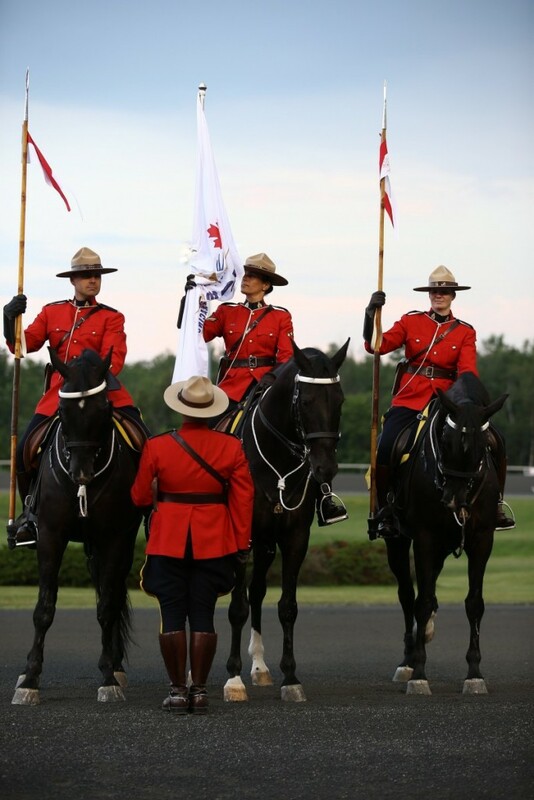 The RCMP Musical Ride unit honoured the 250th Anniversary of Horse Racing in Canada with a commemorative Mile before their performance at Mohawk Raceway August 1. 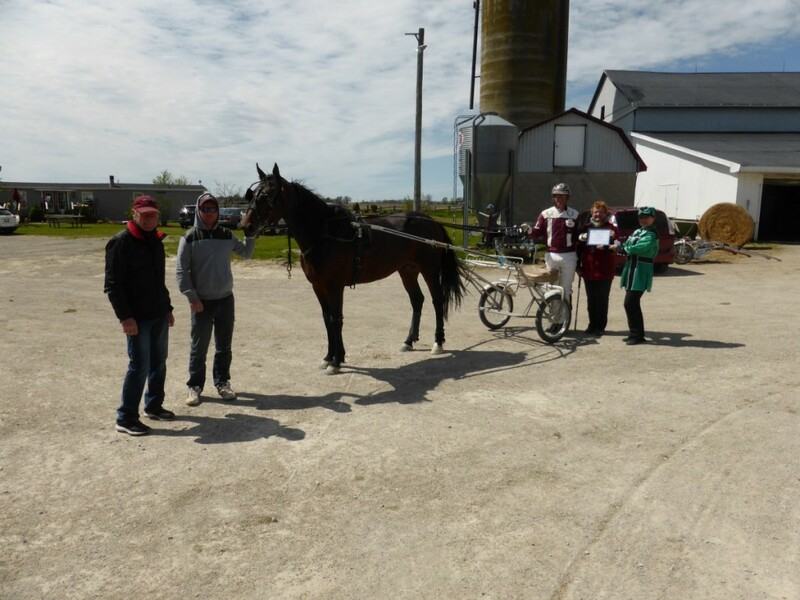 Il Sogno Dream and Alex Lilley took to the track for a mile in recognition of Mac Lilley Farm’s 50 years of operation which was also the first of 250 miles in recognition of the 250th Anniversary of Horse Racing in Canada in 2017.